“…if the British Empire and its Commonwealth last for a thousand years, men will still say, ‘This was their finest hour'”. 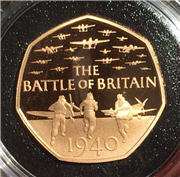 In 2015 to commemorate the 75th Anniversary of the Battle of Britain the Royal Mint released 50 pence pieces depicting the battle. 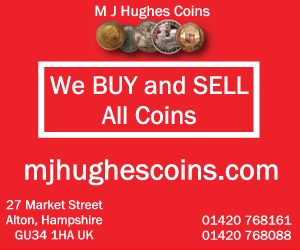 This coin is a proof gold 50p piece struck in 22 carat gold and limited to 500 pieces. 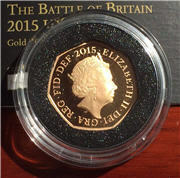 Originally issued by the Royal Mint in an acrylic capsule and presented in a wooden case. 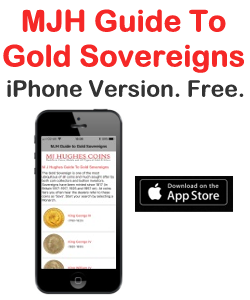 It was issued with an individually numbered certificate of authenticity (COA) and a descriptive booklet.